Secret Santa Buddy helps you to play secret Santa. Add all participants and click send. Everyone will get informed via SMS. In Secret Santa members of a group or community get a randomly assigned person to whom they should give a gift. In addition, the identity of the gift giver should be kept a secret not to be revealed until after the gift is opened. So consider playing Secret Santa at your next holiday get together. 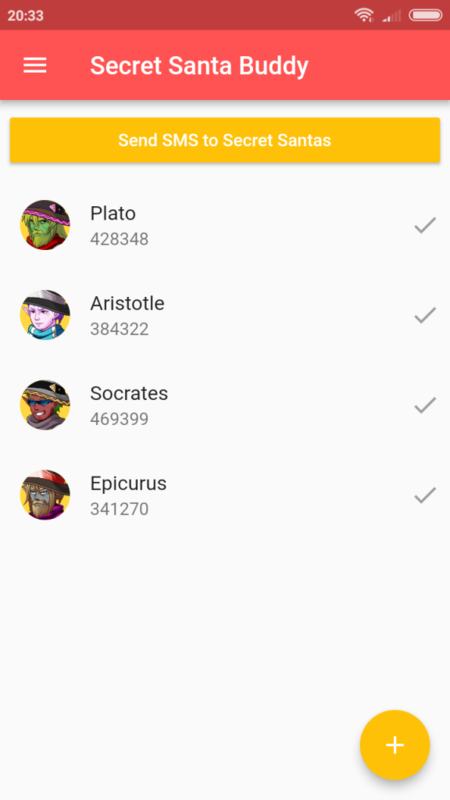 Add the name and phone number of everyone participating. When everything is set, press Send SMS and inform every participant about their assignment instantly. 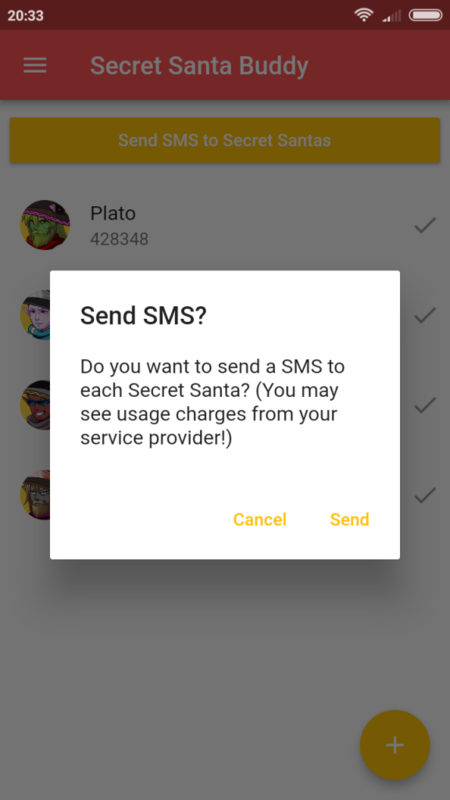 Then the App picks a secret Santa for every member and informs them via SMS. 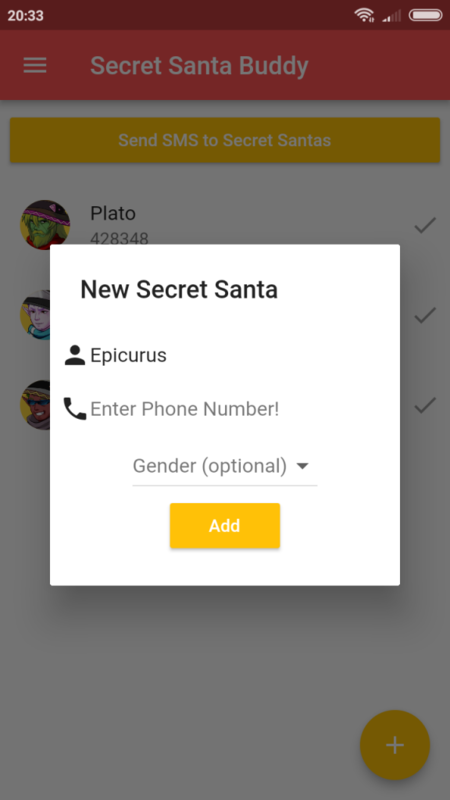 And the App also makes sure, that one person does not get himself as a secret Santa. This makes playing secret Santa easy.